President Obama is raising significant campaign cash from a company that received a federal contract worth nearly $30 million just months after a top White House official signed on as a senior vice president. During his Wednesday trip to California, Obama met with a group of 25 high-powered donors who paid $35,800 each for the pleasure at the headquarters of cloud computing company Salesforce.com. Salesforce CEO Marc Benioff has bundled at least $500,000 for the Obama campaign. He hosted Obama at his palatial San Francisco-area home last year for another $35,800-a-head fundraiser. In October of last year, Salesforce landed a $28 million contract with the General Services Administration for cloud computing services. That contract fit with a new government-centered strategy at the company. “If we look at the government opportunities that are emerging in cloud computing, there’s no reason we can’t be a billion-dollar business in four to five years,” Dan Burton, Salesforce’s senior VP of strategy, told the Washington Business Journal. Part of that strategy involved hiring Vivek Kundra as senior vice president of emerging markets just months after securing the GSA contract. In fact, Kundra was in charge of the Obama administration’s $80 billion technology budget at the time of that contract award. While Benioff has been a frequent donor to both Democrats and Republicans for years, he appears to have stepped up his political activities since last year with the two fundraisers and his campaign bundling. 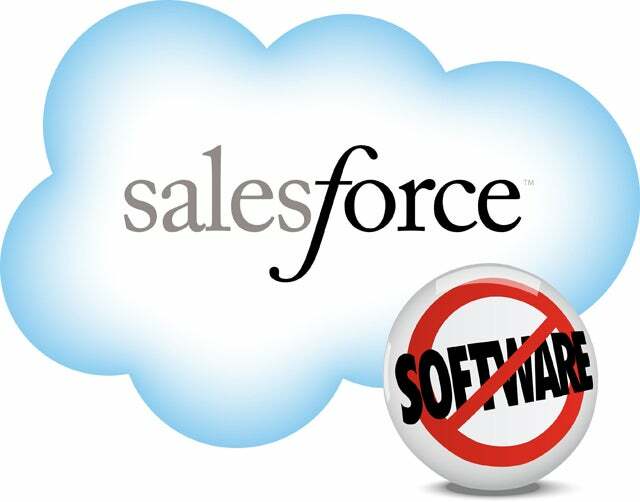 That may also play into Salesforce’s attempts to land more business with the federal government.